This will be our first time collaborating with Nadi Furqan to distribute Al-Quran and prayer apparel in Bali. There is a small Muslim community in Bali that needs our support, and Nadi Furqan has identified what is needed by them. 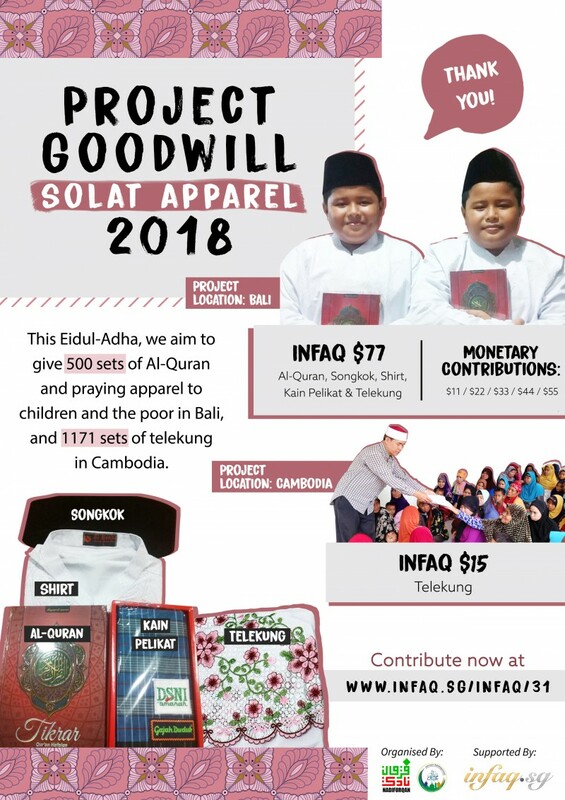 For this year's Eidul-Adha, we aim to distribute 500 sets to children and the poor in Bali. * The funds will be given directly to the poor Muslim community in Bali. Administrative costs included. It has also come to our attention that there is a need for telekung in Cambodia. We aim to distribute 1171 sets of telekung to the poor in Cambodia as an Eidul-Adha gift. *Banking and admin fees are included. This project is organized by Nadi Furqan. Marketing and administration by ISGN Ventures Pte Ltd.